Just ME: you've got this. So sweet! I love that you went to all that effort to encourage Sofia, I hope you are saving these cards for her too! This card is absolutely adorable! Your drawing is so cute!! I love her hair and gym outfit. Sofia will absolutely love this card and I wish her the best of luck on her run! Fabulous card and your drawing is just great! Elena, You're such a good Mama! 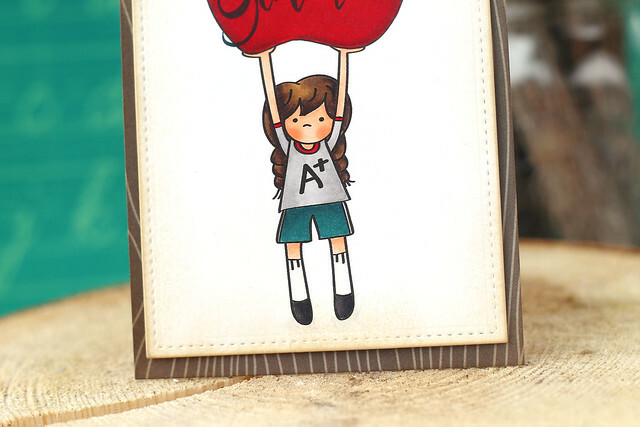 What a beautiful encouragement for your sweet daughter. I love that you created this image yourself. What a wonderful encouragement! Love your card! Way to go Sofia! Great drawing and card! Tell Sofia that she did great...finishing the race is a victory in its self! It is easy to quit but it makes you stronger to soldier on and complete what you set out to do! 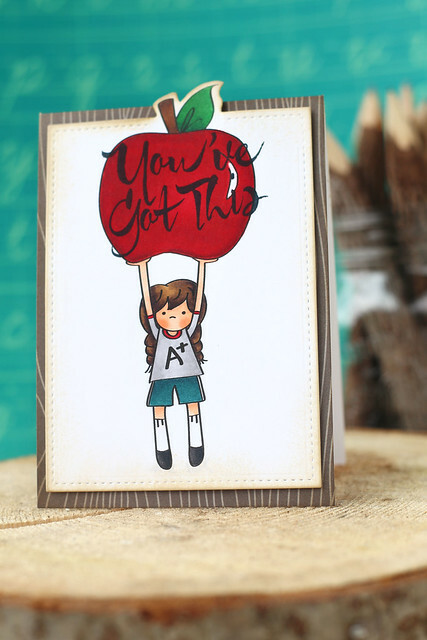 You are a great mom to encourage her both with her card and celebrating afterwards. 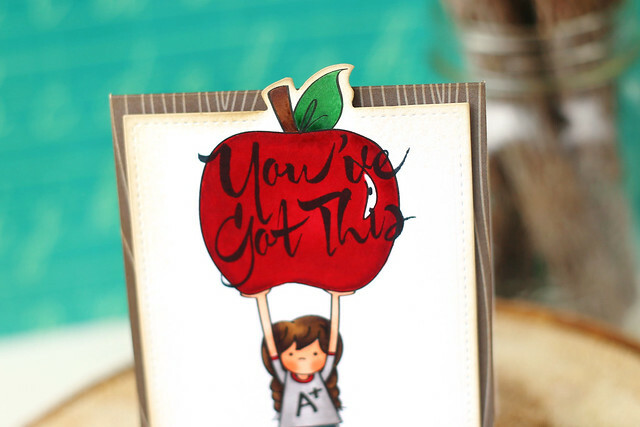 Your card is just so great...really love the large apple - great that you made it big enough to fit the sentiment.